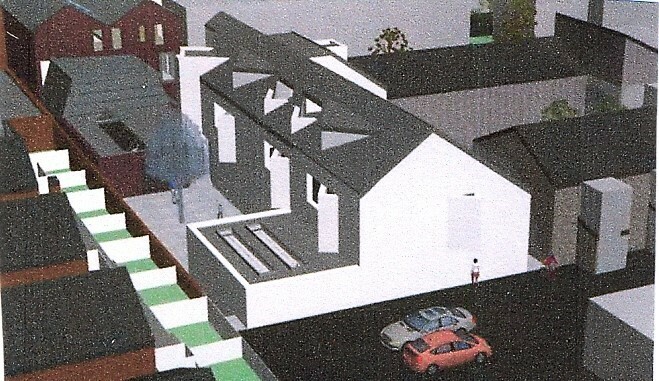 In 2017 the Council conducted a consultation process about their proposal: closure of the current Northcote Library (to be replaced by retail and residential space) and demolition of the current Chatham Hall and nearby garages (to be replaced by the erection of a new Northcote Library and a building combining community centre facilities and flats). During the consultation a majority of local residents (including people not directly affected but who wanted to retain the special nature of the area) opposed the redevelopment plan. (Note that the local residents were not against the idea of a new, improved library and community centre – just the scale of the development and the impact it would have). Residents’ concerns included the disproportionately huge size of the replacement for Chatham Hall in an area of low-rise buildings. More personally, the residents were worried about loss of light and privacy plus noise and security issues posed by the development. They queried the necessity of so many flats. 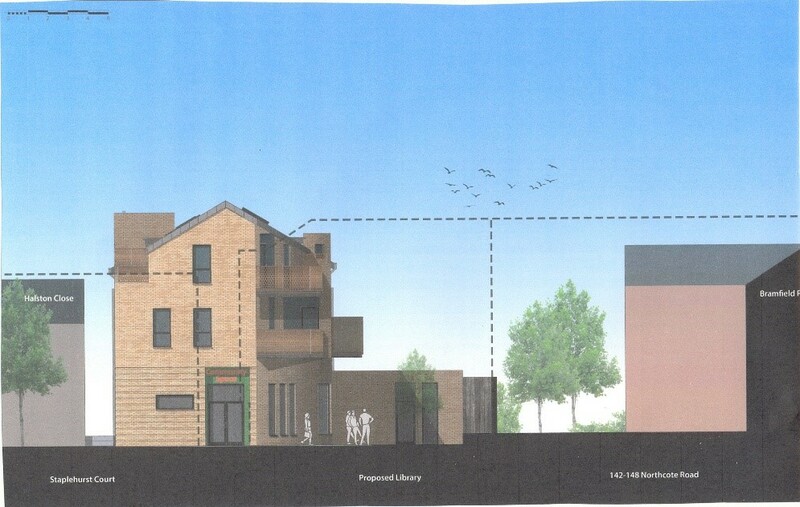 From the plans (with some differences from the previous consulted plans), one can see that although some concessions have been made, the community centre facilities and flats will still constitute a bulky and overbearing building. It seems that the Council has omitted to carry out a full daylight and sunlight assessment. Even at this stage (i.e. before completing the assessment), the website report indicates that some households will lose light to an ‘adverse’ extent. Residents appreciate that the redevelopment per se is a positive one. However, they would like the Council to consider the issues of light and privacy, and ‘go back to the drawing board’! Maybe David can win? If you wish to object to the plans, please go to the site and post your objections – by 15 February! The neighbours’ objections to this plan have always seemed to me to exaggerate the issues to a degree that took away all credibility from their concerns and made it look like plain old fashioned NIMBYism. An interesting reply from someone with a business interest in the development of the library and the proposed area, a comment that is clearly driven by ones own gains. Facts are facts, as the well written piece above explains, people are not against a redevelopment, however what needs to be taken into consideration during such proposals, are the guidelines and recommendations that exist, meaning that any new development, no matter where in London it is, should consider the affects on people’s day to day lives.